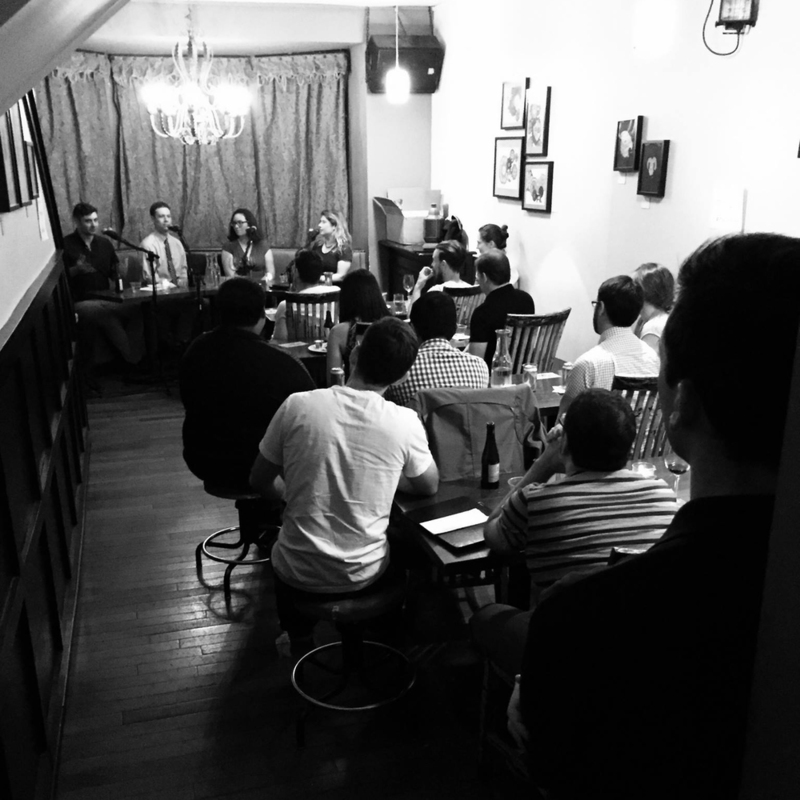 On Endangered Species Day Eve Kelly, Patrick, and Ryan convened at the Science Club in Washington, DC to record a special LIVE episode of Science... sort of! We featured two guests, the first was Steven Sowell from the Baltimore UnderGround Science Space (BUGSS!) to discuss citizen science, being watched by the FBI, and other challenges associated with setting up a private lab for anyone to come use. BIOHACKING! DIY SCIENCE! CHEESE! Kelly's drinking something... red. Patrick is having an Exile Red Ale from Evolution Craft Brewing Company. And Ryan nerds out over his Apex Predator from Off Color Brewing, "a third-trophic level beer" which amuses him but nearly starts a fight with Kelly. Our guest was Michelle Thaller, the Assistant Director for Science Communication at NASA's Goddard Space Flight Center and occasional contributor to Transistor, a science podcast from PRX. We talk a lot about Hubble's birthday, communicating science, and the "two-body problem" of being in a relationship with another scientist when you'd both like good jobs. Thanks again to both our guests, to Steve at Science Club for hosting, to Jamie for doing the intro and outro live, and of course to all you lovely folks who attended. Special thanks to Mason from Blue Room Productions for handling all the audio hardware, and Tim Dobbs for the edits.